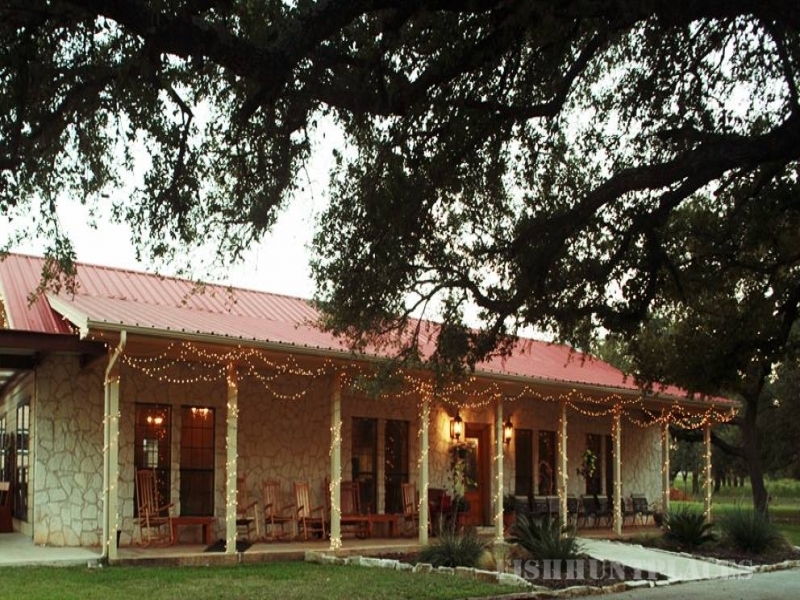 The Ruby Ranch Lodge sits surrounded by the beauty of the Texas Hill Country. 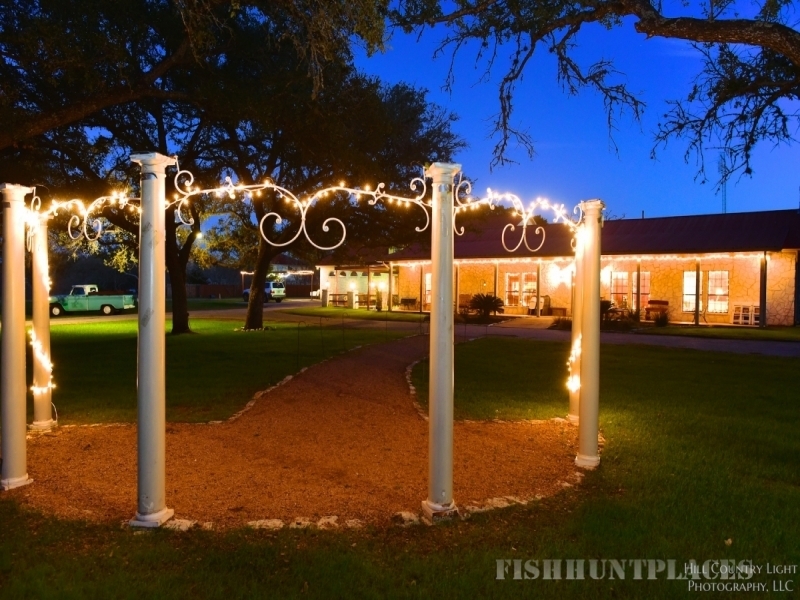 Located in Buda, Texas, just 20 minutes from Austin and a little over an hour from San Antonio, the wedding, lodging and event center has a rich and storied history. Tied in with all that is Texas, the lodge originally sat on 4,000 acres. 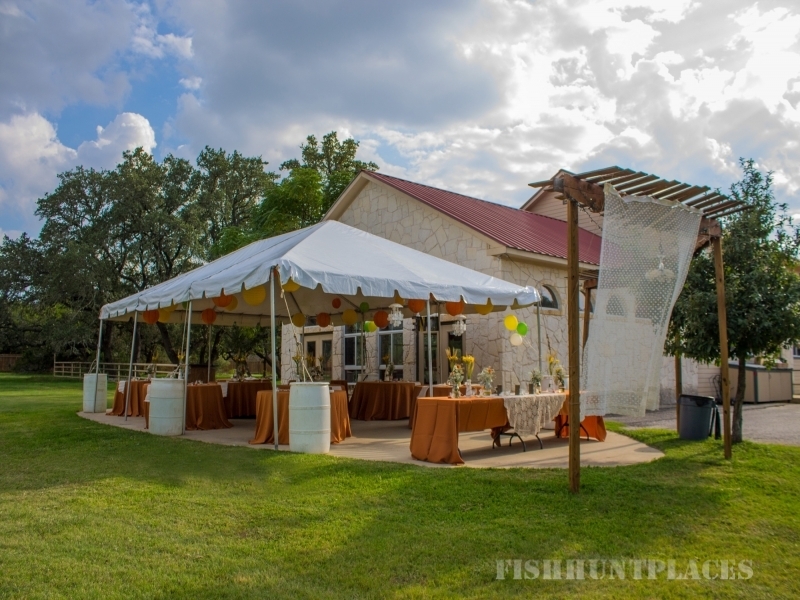 It was a well known central Texas hunting ranch enjoyed by both visitors and locals. 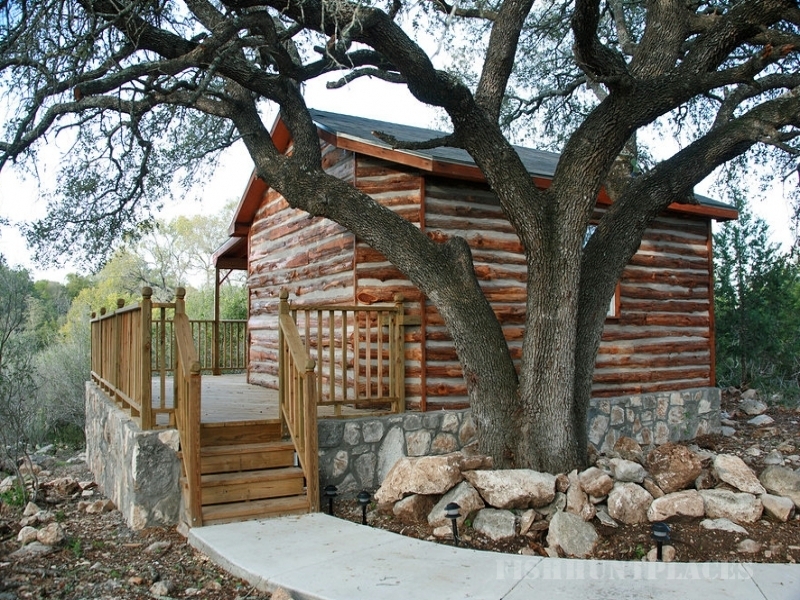 Once named the Onion Creek Lodge, it was owned by Cecil Ruby. The first lodge was built in the 1950’s and had five regular bedrooms, one of which was named the L.B. J Room. Mr. Ruby was a childhood friend of Lyndon B. Johnson’s and they remained close into adulthood. Because of his friend and the beauty and peace of Ruby Ranch Lodge President Johnson was a regular guest at the ranch for both parties and hunting. In the 1950’s many dignitaries and politicians took the short drive from the Texas State Capitol to what is now known as Ruby Ranch Lodge. They came to enjoy hunting, barbecue and relax in the countryside. The Y.O. Ranch leased the Ruby Ranch Lodge for many years. The original lodge burned down in March of 1986 and was rebuilt the same year. The main house of the lodge you see today was completed in July 1986. Weddings, meetings and parties are still hosted in this building. The main lodge also holds our commercial kitchen. As the Ruby Ranch neighborhood developed, Madelyn & Rusty Uresti bought the parcel of land that the lodge and wildlife call home. They changed the name to Ruby Ranch Lodge & Celebration facility and added on more rooms, a log cabin, commercial kitchen and bathrooms and a large event space. Madelyn and Rusty are proud to help host the many weddings, family reunions, corporate meetings and celebrations that take place at their beloved Ruby Ranch Lodge and Celebration Center. They are grateful each time they get to share the grace of the lodge and ranch.